A man whose wife and two daughters were killed in the Gatlinburg fire late last month wrote an open letter to the two juveniles accused of starting the fire – forgiving them. Michael Reed’s wife Constance and daughters Chloe and Lily were identified as among the 14 people killed in the fire nearly a week later. 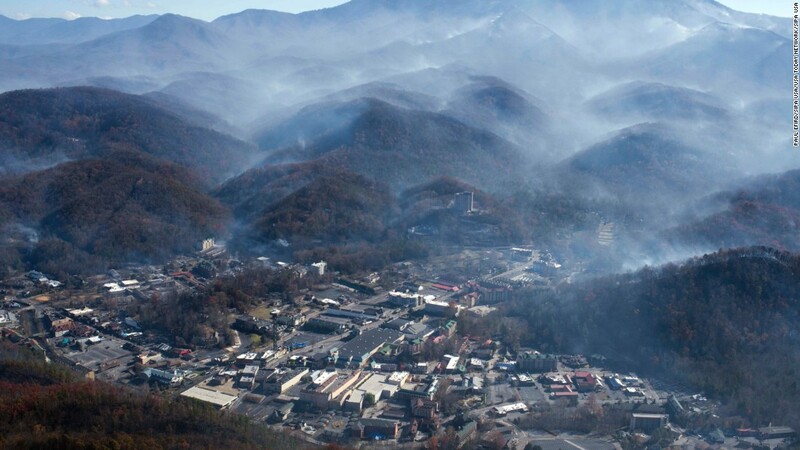 The toll of the Gatlinburg, Tennessee wildfires: 14 people dead, another 175 injured, and more than 2,400 houses, businesses and other structures destroyed. Forgiveness isn’t for you. It is for me. It is for my son. It is for Constance, Chloe, and Lily. It is for this community who all lost so much in this tragedy. I, as well as countless others, have been changed forever because of your actions. It is up to you to seek God’s forgiveness. I hope someday you can seek it and be at peace. I forgive you. My son forgives you. My wife and beautiful girls forgive you. We know you didn’t mean for this to happen. We know you would take it all back if you could. We will pray for you. Every day. We will pray for your parents and your family members. Every day. We will pray for your peace. We will show you grace. Why? Because that’s what Jesus would do. To be able to forgive two kids who took away three of the most important people in your life… that is a powerful thing.